Sometimes you may not feel like sifting through your iPhone’s music library, looking for the right song for your mood. Sometimes, you just want to hear something, anything, now. Veenix’s Quick-Tunes is one such app that will provide your impatient self with instant music and minimal hassle. 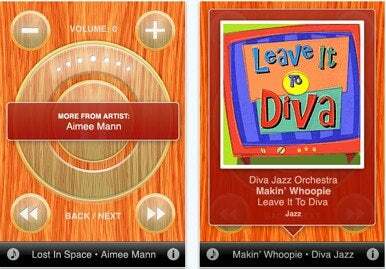 Recently updated to version 2.0, the zippy little music player now comes with a 30-minute sleep timer. Quick-Tunes isn't your typical music playing app. As its name implies, Quick-Tunes is targeted at users who want to hear music instantly, and who aren’t too picky about what exactly they hear—so long as it’s from their library. As soon as you open the app, it starts playing a random song from your library. From there, you can use the app’s large Quick-More dial to instantly play another random song, or another song from the same artist, album, or genre. It’s one-touch simplicity at its finest. Quick-Tunes 2 costs $1 and runs on iOS 4.0 or later.